Turkic groups fought Zoroastrianism before the time of Moses and they used few elements of Zoroastrianism and blended it with their cult called “Tengrism” to create a Turkic version for the teachings of Zoroaster. Then later on they used the same technique with the teachings of Moses, Yeshua, and Mohamed. By this policy they invented the new “universal” imperial religions: Turkic Persian Zoroastrianism; Turkic Jewish Judaism; Turkic Roman Christianity; and Turkic Sunni, Sufi, and Shia Islam. Islam during prophet Mohamed b. (622-632 AD) was not beyond the main Arabian Peninsula. But during the first three Caliphs, Abu Bakr (632-634), and Umar (634-644) (Assassinated), Uthman (644-656) (Assassinated) it went into invasions. That was totally unacceptable to many believers but the Turkic elements encouraged such offensive military expansions. Their aims were to hijack Islam and to gain Turkic political, military, and economic powers. The fourth Caliph Ali (656-661) (Assassinated) was the cousin of the prophet and he stopped that and carried out internal reforms and these were the main causes for the eruption of a brutal civil war throughout his rule (656-661) that ended up by assassinating him and killing most of this family. By these killings the original Islam died upon birth and it was replaced by a fake Turkic militant cult calling itself Islam. This became the source of terrorism, colonialism, and heresy. All major Middle Eastern religions of Moses, Yeshua, and Mohamed plus the oldest of Zoroaster suffered heavy counterfeiting by the Turkic groups. The MSM academia, media, and politicians keep shouting: Terrorism, Islam, bla bla bla, creating misinformed public opinion. But if they are playing stupid let us remind them: All Turkic groups are equally responsible for wide range of crimes and these groups. Terrorism is in every deep state in the world who are affiliated to any of the six Turkic groups. These groups discovered Zoroastrianism before Moses’ time. They killed it, and used their Tengri cult mixed with few concepts from Zoroasterianism to invent Persian Zoroastrianism. They repeated that with the teachings of Moses, Yeshua,and Mohamed. Trust me the teachings of Moses, Yeshua, and Mohamed, and Zoroaster all died soon after birth. Most monarchies, bankers, and politicians in Europe and USA are of Turkic making since the so-called English, French, American, and Russian “Revolutions”. These Turkic groups committed all sorts of crimes in Asia, Europe, Levant, Arabia, and Africa. 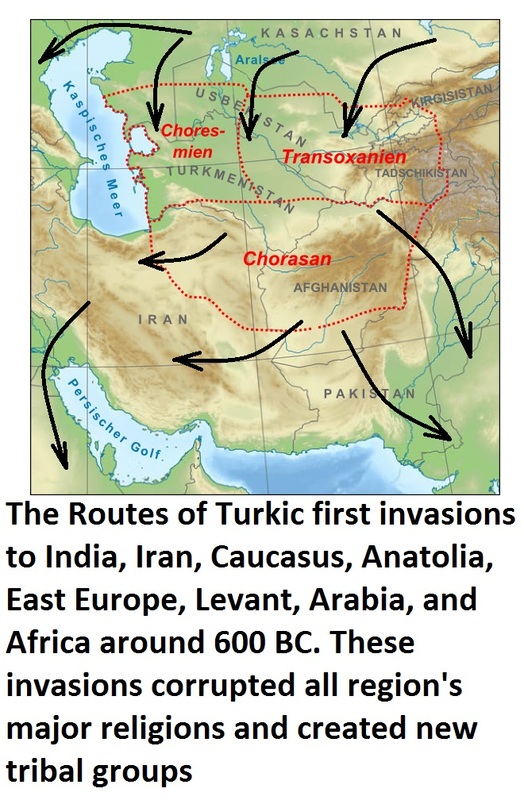 With just a little of common sense and investigation people can easily find the real historic Turkic connections between them beneath their deceptive mutual hostilities and malignant policies. Those are the enemies of Hitler, Nazis, and Russia. And before them were the enemies of Alexander the Great. 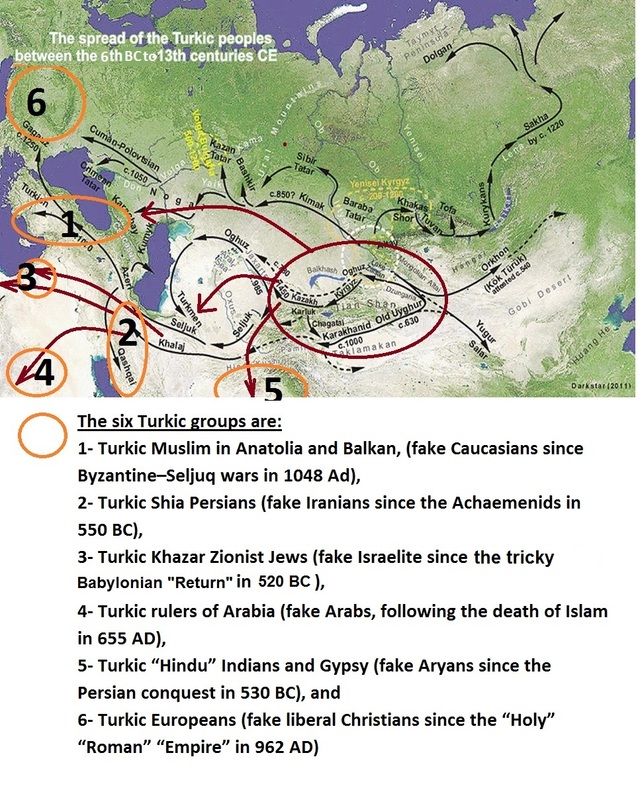 In another group of messages it said that Zionist Jews are also Turkic and the Turkic people subjugated Europe, Russia, India, Africa, and Middle East and whole of Asia. Read and know how these Turkic groups are thinking. (I received first batch of FaceBook messages from some Cengizhan Atilla at 4:24 AM on 17 March 2017). Read them and decide for yourself. They are very interesting, informative, and amazing! I thought that Moses was a few centuries before the time of Zoroaster. But, it is clear that organized religions often morph and change after their Founders have died. Those that come after always want to leave their personal mark on their religion(s). People really need to govern their religious fervor with reason. Zoroastrianism is the oldest monolithic religions. Zoroastrianism is one of the world’s oldest monotheistic religions. It was founded by the Prophet Zoroaster in ancient Iran approximately 3500 or 3800 years ago (1500 – 1800 BC). Moses was born c. 1392 BC in Egypt and died: c. 1272 BC. 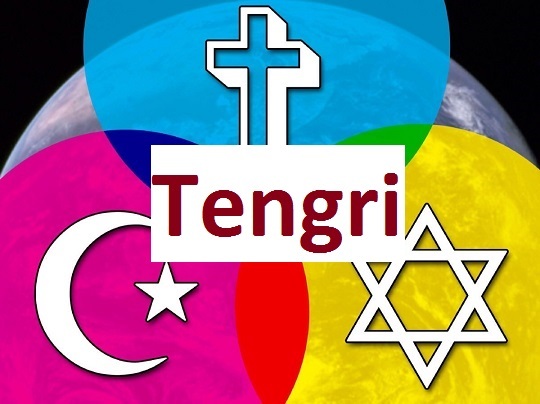 Most of changes in major religions were made by Turkic groups for exploitation. The second issue is that all religions must be local and complement each other. There is no universal religion. Religions are like medical drugs and faith is like medicine. There is no one drug that treats all problems. Each religion is tailor made for its time, place, and conditions. The must be protected, grasped intelligently, and developed. Judaism can be called the religion of Ezra, not Moses.